* Children’s hearing is extremely sensitive and they have very little protection against harmful noise. 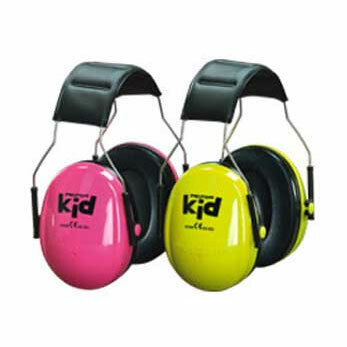 *Peltor Kid hearing protectors effectively attenuate harmful noises without shutting out other ambient sounds. * The hearing protector is easy to wear, with a low profile and no protruding parts that can catch on things. * The wide, comfortable sealing rings are filled with a unique combination of fluid and foam, which gives optimum sealing and low contact pressure, ensuring the best possible comfort even during long periods of use. * The Peltor Kid is CE-approved and fits children up to age 7. * The Peltor Kid comes in two characteristic colours – neon pink and neon green – for high visibility and fun.